Posts tagged with "iOS 11"
I haven't seen a lot of praise for the artistic side of the App Store's Today page. I think it's remarkable that Apple is commissioning these illustrations and making them instrumental in highlighting apps and developer stories. Don't miss Vinh's roundup of his favorites. I was editing a Markdown text file in Pretext yesterday, when it occurred to me how naturally I was able to create a document and upload it to GitHub without dealing with the limitations and workarounds that used to be commonplace in older versions of iOS. Here's a brief account of what happened. In a recent episode of Connected, we rounded up some of our favorite "iOS little wonders" and Myke was surprised by one of my picks: the ability to launch individual notes on iOS through shared links. The ensuing discussion inspired me to assemble a list of tips and tricks to improve how you can work on an iPad with iOS 11. Even though I covered or mentioned some of these suggestions in my iOS 11 review or podcast segments before, I realized that it would useful to explain them in detail again for those who missed them. From keyboard recommendations and shortcuts to gestures and Siri, I've tried to remember all the little tricks I use to get work done on my iPad Pro on a daily basis. After several years of being iPad-only for the majority of my work, I often take some of these features for granted. 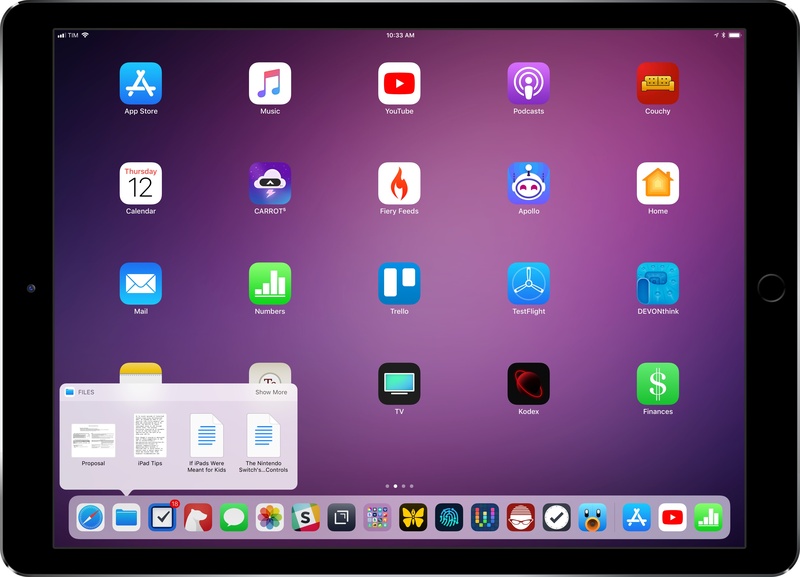 And admittedly, Apple doesn't always do a great job at teaching users about these lesser known details, which have become especially important after the productivity-focused iPad update in iOS 11. I hope this collection can be useful for those who haven't yet explored the fascinating world of iPad productivity. I’ve just recently worked on invoice scanning for Finances. It lets you scan invoices on iPhone or iPad and add them as a PDF document to transactions. In this post I will show you how I’ve implemented that feature using the frameworks available on iOS. Let's start by looking at the final result. You can see the invoice scanning in the Finances trailer. The user interface looks very similar to the document scanning UI in Apple’s Notes app on iOS 11. That’s not a coincident. I’ve reimplemented the exact same user interface, because most iOS users are already familiar with it. Also I found it an interesting challenge to implement it myself. I've been considering Finances (which is available both on Mac and iOS and is on sale for both platforms today) as a replacement for the system I built in Numbers last year, which isn't scaling anymore (my accountant now wants me to upload PDF receipts to a Trello board, and traditional spreadsheets do not support inline file attachments). I'm intrigued by the cross-platform nature of Finances, its double-entry bookkeeping system, and this new Notes-like scanning mode built using Vision technologies in iOS 11. I haven't seen other apps publicly advertise scanning functionalities built using Vision and the implementation in Finances looks extremely well done. I will be playing around with Finances over the weekend (I know; usually, this isn't what I do with my weekends but I also need to keep my accountant happy). You can take a look at Finances' new trailer below. I was under the assumption that HomeKit software authentication was already available since Apple announced it at WWDC '17 (in fact, I covered it in my iOS 11 review here). As Sargent notes on Twitter, however, accessory makers only received support for software authentication with iOS 11.3, which explains why we haven't heard of major "HomeKit software updates" yet. Assuming that Apple's certification process for HomeKit accessories is still going to take weeks, I'm curious to see if software authentication will at least make it easier for third-party manufacturers to consider HomeKit integration. We first reviewed Halide, the powerful third-party camera app by Ben Sandofsky and Sebastiaan de With, when it debuted in the summer of 2017, providing a powerful and elegant alternative to Apple's Camera app that fully embraced RAW photography and advanced controls in an intuitive interface. We later showcased Halide's iPhone X update as one of the most thoughtful approaches to adapting for the device's Super Retina Display; to this day, Halide is a shining example of how the iPhone X's novel form factor can aid, instead of hindering, complex app UIs. 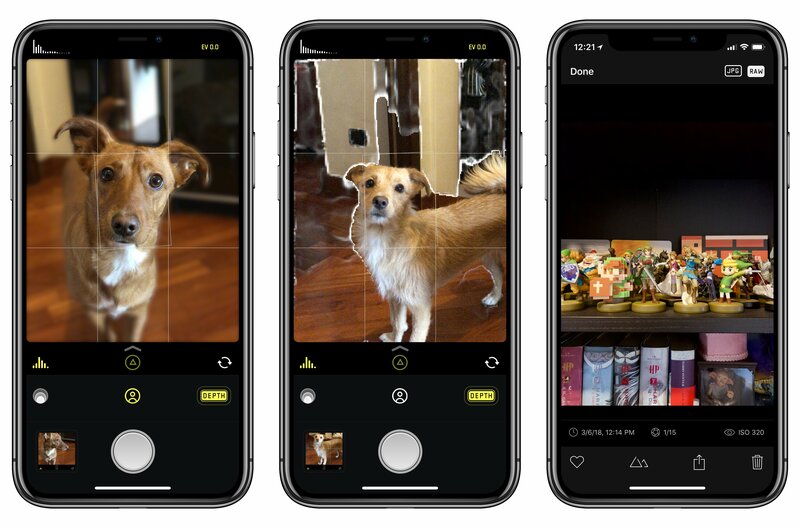 While Halide was already regarded as an appealing alternative to Apple's stock app for professional photographers and RAW-curious iPhone users (something that designer de With covered in depth in his excellent guide), it was lacking a handful of key features of the modern iPhone photography experience. Sandofsky and de With want to eliminate some of these important gaps with today's 1.7 update, which focuses on bringing the power of Portrait mode to Halide, supporting the iPhone X's TrueDepth camera system, and extending the app's integrations via a special ARKit mode, new export options, and native integration with the popular Darkroom photo editing tool.